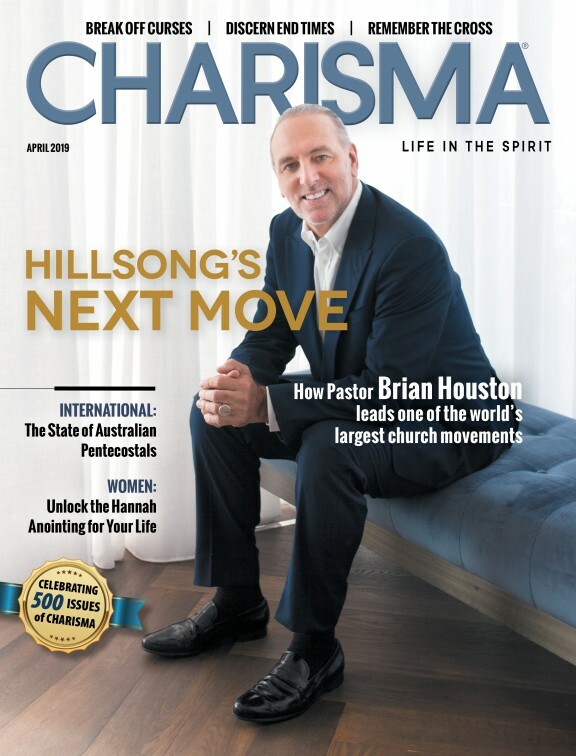 This article was featured in the October 2018 issue of Charisma. Of the many words in the English language, some are better-sounding than others. "Generosity" is one of them—it sounds good, it feels good to be generous, and it is wonderful to receive generosity. To make it even better, generosity is part of God's wonderful plan for Planet Earth. You don't have to read the Bible long to understand that God is very generous. From the beginning, the Garden of Eden was an amazing place. God provided everything imaginable for His creation. Later, He showed His generosity to Abraham, Isaac and Jacob. God's generosity was evident with the children of Israel, their kings and other people throughout the Old Covenant. In the New Covenant, God showed His generosity toward the early church. As it states in Acts 4, there was no one in need among them. Even in eternity, the Bible portrays an overly generous God who loves His children and is preparing for them an out-of-this-world experience. Jesus was generous in His earthly life. He fed thousands. He paid taxes with coins in fishes' mouths. He turned water into copious amounts of wine. Furthermore, He plainly stated His purpose in John 10:10—that we might have abundant life. This is a sharp contrast to living under the evil dominion of Satan, who steals, kills and destroys. Jesus then said, "As I have been sent, I'm sending you" (see John 20:21). He was sent to be generous, and He expects us to be generous as well. Freely we have received, so freely we can give. The definition of wealth surprises people. Many confuse wealth with big bank accounts and lavish lifestyles. A far better definition is found in 2 Cor 9:8 (NLT): "God will generously provide all you need. Then you will always have everything you need and plenty left over to share with others." It starts with everything we need and ends with plenty left over to give away! Can you imagine living that way? I hope so! It's the promise of the Father to all of us who believe. I've lost some of you already. Some are barely making it financially in this life, and others are working several jobs just to survive. For all of us, the starting point is always God and God's will. I encourage you to find out who God really is, how He thinks about generosity and what His plan provides. Only then can we begin to assess where we really are. This will ultimately undergird our system of belief. For good or bad, most of us are living exactly what we believe. It's obvious the world has a financial system. This plan revolves around getting as many assets as you can, borrowing all you can, leveraging to the maximum and hoping for a good economy. Some people have become fabulously rich through this system. However, the majority of people (95 percent or more) end up spending many years working and having very little currently or even at the end. God's plan is entirely different. It starts with generosity—we give to receive. This is a stunning contrast to the world's plan. Since it is so far out of the mainstream, it takes faith to proceed in this direction. However, the good news is that it will work for everyone who embraces it. Let me explain in greater detail. When God created the world, He designed a financial plan that would provide for all our needs and enough to help others. Just as the Garden of Eden was a spectacular place, so was every other aspect of His creation—including His financial plan. When Adam and Eve sinned, God's grand plan in creation crumbled. Under the dominion of Satan, who is determined to destroy us, everything took on a very different feel. God, however, was not about to be stopped. He instituted a plan to redeem mankind through the firstborn and firstfruits—Jesus Christ. His plan to redeem our financial situation is also through the firstfruits. God asked that we give the firstfruits of our increase, a tithe (giving a tithe is 10 percent of our total increase) to the church where we attend as part of His plan of redemption for our money. This tithe would be declared holy by the Lord. This, in turn, would make the rest of our money holy so it could multiply and grow quickly. We see this plan working from the beginning of the Bible. Abel brought his firstfruits, and it was a well-accepted offering before the Lord. God loves to reward us when we follow the wisdom of His plan. Hebrews 11:6 says He rewards those who sincerely seek Him and do what He has asked. When we give our firstfruits, the Lord promises to overflow our accounts (Mal. 3:8-12). He will stop the enemies from devouring what is ours. He will bless and prosper us so that we can live in the fullness of what He has given us. As Christians, we live by faith. It begins by believing in Jesus Christ as the Son of God and the risen Savior. Nothing more is required. Whether we choose the financial plan of God or the world, it does not specifically affect our salvation as far as eternity is concerned. However, it does affect how we live this life and specifically our budget. In Luke 16:13, Jesus says we cannot serve God and money. He asks us to choose because we will love one and hate the other. I recommend that you choose God's financial plan over the world's plan. God's plan will end much better for you, your family, your church and the kingdom of God. In fact, it is the key to living the abundant life that we see in John 10:10. God's plan is simple to begin. Here are some steps. First, take the firstfruits (first 10 percent) of all your increase and give 10 percent of it to your local church in the name of the Lord. This "increase" includes salaries, bonuses, inheritances, real-estate transactions, gifts and more. Next, generously give offerings above and beyond your 10 percent to church building programs, Christian schools, missionaries, good works around town, friends in need and so on. Finally, walk in faith that God will fulfill His promises all throughout Scripture to those who follow His plan. He wants to bless and prosper all of us who follow His wise ways. As you do this, it will change your life. Remember, God's ways are always best. Happy Leman is the co-founding pastor of the Vineyard Church of Central Illinois in Urbana, Illinois. 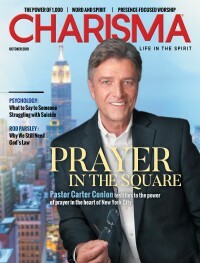 He is also the leader of the Vineyard USA financial team and a former national Vineyard board member. For more about the Vineyard Movement, visit vineyardusa.org.